Hives, for which the medical term is urticaria, affect about 20 percent of the population at some time during their lives. The skin lesions start with itching, often extremely intense, followed by swollen, red welts. The welts range in size from small spots to large blotches, roughly oval in shape, and up to several inches in diameter. They sometimes sting or hurt. Hives are often caused by allergies, triggered by exposure to some foods, medications, or other substances. There is a similar condition, called angioedema, in which the swelling is below the surface of the skin, forming large, thick, firm welts. They may be accompanied by swollen eyes and mouth, swelling of the hands, feet, and throat, difficulty breathing, stomach cramping, and chemosis, swelling of the lining of the eyes. 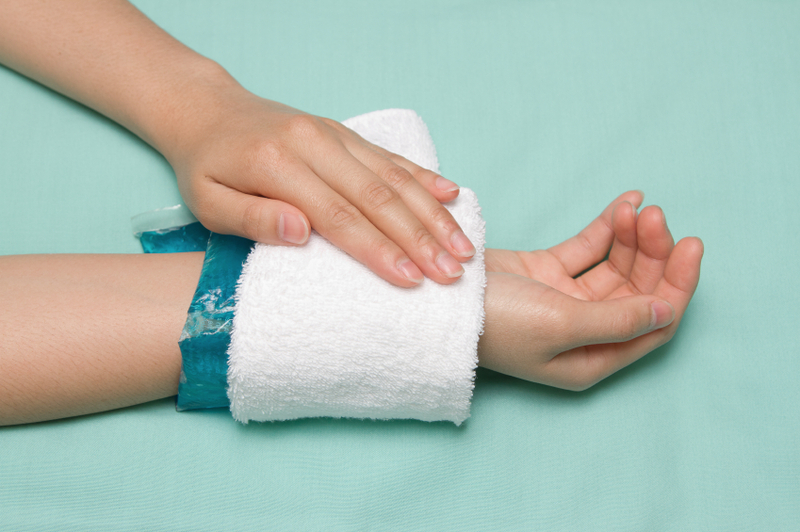 The affected areas may be painful and feel warm to the touch. It can be life-threatening and requires emergency medical attention. There are two types of hives: acute, which are present for six weeks or less, and chronic, lasting six weeks or longer. The causes are very different. Hives, both acute and chronic, are treated with antihistamines, oral and topical. Less commonly, oral corticosteroids may be used for more severe, persistent cases. 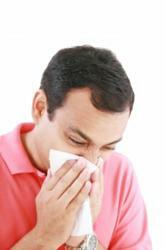 Recurrent cases may be evaluated by an allergist. The most effective management is to identify what triggered the hives, then avoid or eliminate the trigger(s). In most chronic cases, the triggers cannot be identified. In most cases, the hives resolve when the cause is eliminated. Pressure hives - people sitting on their buttocks all day, or wearing a belt too tightly. Hives can appear on any part of the body. They are red or flesh covered. Hives are often round or disc-shaped, and often change shape, move around, disappear and reappear over short periods of time. When pressing the center of a red hive, it turns white, a process called blanching. Write down your symptoms and signs, when they occurred and how long they lasted. The diary may help you identify triggers, which should then be avoided. For people with pressure urticaria, wearing loose clothing made of smooth fabrics may help avoid irritation. Antihistamines are the standard treatment for hives. They reduce itching and swelling. Low-sedating or non-sedating antihistamines are preferred because they have minimal side effects. A physician may use a combination of 2 or 3 antihistamines. Lortadine (Claritin), cetirizine (Zyrtec) or diphenhydramine (Benedryl, others) are over the counter, and may relieve itching. Autoimmune drugs may be used if antihistamines and corticosteroids are ineffective. They may help suppress an overactive immune system. I had hives once last summer. Will I get it this summer? If you know what caused the hives before, you can avoid whatever caused it. You may get hives in reaction to something else, however. Is there a vaccine for hives? No. There is a countless number of things which can cause hives. It isn't possible to vaccinate against everything. Are hives contagious? No, because it is not usually caused by an infection. If your hives are in response to an infection, you may pass on the infection, but you don't pass on the hives. The spot where I got my flu shot got red, itchy and tender. Was that a hive? No, it was just a localized irritation of the site where you got your flu shot. Is it possible to get hives from an allergic reaction to a person? It's extremely rare, but it has happened. It may not be the person, though, but fabric, soap, lotions or some substance the other person uses and lingers on their clothing or skin. It seems like I get hives all the time. What should I do? First, see your family doctor. He or she may investigate the causes or refer you to an allergist, a doctor who specializes in treatment of allergies. Will I "grow out of" having hives? Anyone can get hives. If you tend to react to situations or substances by getting hives, you may get them in the future, no matter your age. Do hives run in families? Yes, there does seem to be a genetic tendency to get hives. I got bad hives and my doctor told me to carry a syringe for emergencies. What's she talking about? Severe hives may be associated with sudden, severe swelling in the mouth and throat, cutting off getting enough oxygen when you try to breathe. Death can occur before medical help arrives. The specially prepared injection contains epinephrine, to reduce the swelling in an emergency. The person carries the device to self-inject when extreme symptoms may put his/her life at risk. Dry Skin On Your Face? Click Here to try a FREE bottle of the 100% pure, moisturizing facial skincare system for women and men. Dry Skin On Your Body? Click Here to try a FREE bottle of the 100% pure body moisturizer. Read This Free Report: The Poisons You Put On Your Face Everyday.